Reserve a table for your arts education program to connect with parents and educators from across the Bay Area. Learn about the Oakland Unified School District's Arts Incentive Grants, which provides three years of funding for schools and their partners to design and implement innovative arts programs. This event is to register as an exhibitor. If you are an educator or parent, please RSVP and share on Facebook or on our website. Register by Friday, September 7, 2018. Check in for presenters begins at 2:00 pm. The Resource Fair runs from 4-6 pm. We ask that you continue to exhibit until 7:30pm to allow attendees of the OMCA Friday night party to learn about your programming. You will receive detailed instructions prior to the event. If you have any questions about registration, contact Todd Berman at director@artsedalliance.org. 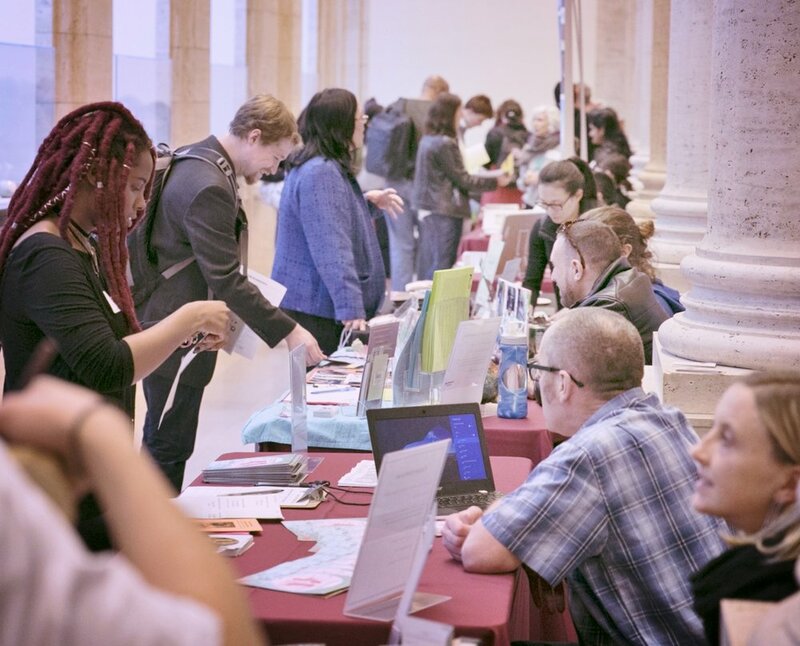 The 2018 Arts Education Resource Fair is presented by the Oakland Museum of California, the Oakland Unified School District, and the Arts Education Alliance of the Bay Area, a fiscally sponsored program of Intersection for the Arts.